Developing forms of production that contribute to the area’s sustainable development, helping to further consolidate existing ties in the trans-boundary region between Costa Rica and Panama. As a service provider in the field of international cooperation for sustainable development and international education work, they are dedicated to shaping a future worth living around the world. GIZ has over 50 years of experience in a wide variety of areas, including economic development and employment promotion, energy and the environment, and peace and security. The diverse expertise of their federal enterprise is in demand around the globe – from the German Government, European Union institutions, the United Nations, the private sector and governments of other countries. They work with businesses, civil society actors and research institutions, fostering successful interaction between development policy and other policy fields and areas of activity. Their main commissioning party is the German Federal Ministry for Economic Cooperation and Development (BMZ). The commissioning parties and cooperation partners all place their trust in GIZ, and they work with them to generate ideas for political, social and economic change, to develop these into concrete plans and to implement them. Since they are a public-benefit federal enterprise, German and European values are central to their work. Together with their partners in national governments worldwide and cooperation partners from the worlds of business, research and civil society, they work flexibly to deliver effective solutions that offer people better prospects and sustainably improve their living conditions. The registered offices of GIZ are in Bonn and Eschborn. In 2017, they generated a business volume of around 2.6 billion euros. Their 19,506 employees, almost 70 per cent of whom are national personnel, work in around 120 countries. As a recognised development service provider, they currently have 590 development workers in action in partner countries. Furthermore, in 2017, the Centre for International Migration and Development (CIM), which is run jointly by GIZ and the Federal Employment Agency, placed 385 integrated experts and 484 returning experts with local employers in their partner countries, or provided them with financial support, advice or other services. They work to shape a future worth living around the world. They work holistically, draw on extensive implementation experience and share responsibility for achieving objectives with their partners. Their services are built on a wealth of regional and technical competence and tried and tested management expertise. They use their wide range of instruments and networks flexibly and innovatively to create value for their commissioning parties and to empower people to shape their own development processes. They act as an intermediary. Their core competencies include balancing diverse interests in sensitive contexts and providing entry points for the private sector and civil society. As a federally owned enterprise, they are guided by the principles of their social order, act in the interests of Germany and, first and foremost, support the development policy of the German Government. At home and abroad, they help decision-makers accomplish their political objectives. Their work is about producing results in a transparent, efficient and partneroriented way and in line with good commercial practice. They are a global player. Decentralised structures, intercultural competence and a highly professional workforce are the factors that fuel their success. Their actions are guided by the principles of sustainability. They believe that only by combining social responsibility, ecological balance, political participation and economic capability will current and future generations be able to lead secure and dignified lives. Conflicting goals and interests have to be resolved fairly among all stakeholders. Negotiation processes of this kind must be professionally designed if development is to be sustainable. This belief guides their work with clients and partners, their interactions with each other, and the way they structure their operations. They perform their tasks in keeping with these convictions and are committed to upholding the values enshrined in the Basic Law of the Federal Republic of Germany. promote a market-oriented, ecological and social economic order and observe the principles of corporate responsibility in their work. Chiquita Brands International, Inc. is an international marketer and distributor of high-quality fresh and value-added food products—from energy-rich bananas and other fruits to nutritious blends of convenient packaged green salads. Our products and services are designed to win the hearts and smiles of the world’s consumers by helping them enjoy healthy fresh foods. They market their products under the Chiquita® and Fresh Express® premium brands and other related trademarks. They employ approximately 21,000 people operating in nearly 70 countries worldwide. Chiquita’s mission is to help the world’s consumers broaden mindsets about nutrition and bring healthy, nutritious and convenient foods that taste great and improve people’s lives. The nutritional aspects of our products allow us to focus on making them more readily available and convenient to consumers rather than reformulating them to reduce fat, sodium, sugar or preservatives, which has been the focus of other consumer product companies. Our Core Values of Integrity, Respect, Opportunity and Responsibility form the basis of our business performance and guide our everyday activities, including our giving programs. As part of our Core Values, Chiquita maintains a solid commitment to conducting business ethically, morally and in accordance with the law. A large part of our social responsibility efforts involve how they interact with our employees and stakeholders throughout the world. Their work practices, their approach to labor relations and their corporate culture all come into play on a daily basis. More than a decade ago, they adopted the Social Accountability 8000 (SA8000) labor rights standard developed by Social Accountability International (SAI), which has been proven to be a very effective tool for measuring and improving our practices to better serve the communities in which we live and work. SA8000 provides standards based on national laws, international human rights norms and the conventions of the International Labor Organization. Management system requirements ensure that these standards are consistently implemented over time, and independent audits and certification help measure progress and identify areas for improvement. 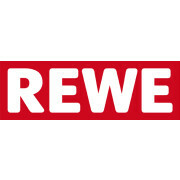 REWE supermarkets belongs to the REWE Group, one of the leading trade and tourism groups in Europe. In the European food retail, REWE Group is number three. In 2011, with 323,000 employees in 15,700 stores in Germany and 12 other countries in Europe have generated 48.4 billion euros turnover. In Germany the company employs the independent retailers and the Group Company has 222,000 employees. Together they generate a total turnover of nearly 35 billion euros. The cooperative structures of REWE Group form its basic values: entrepreneurship, ownership, customer focus and expertise. More than 3,300 REWE stores in Germany are run by independent retailers and branch system. The aim of REWE is to offer fresh, quality merchandise at great prices. Customers expect every day anew healthy products of the highest quality and traceable origin. To ensure this, REWE has installed a complex, multi-step quality assurance system that covers the entire production chain. Following the conclusion of REWE's structure reform, the REWE Group decided to create a new mission statement during the reporting year. The four core components of the new mission statement - mission, core values, vision and maxims - reinforce the Group's common identity while boosting the long-term solidarity of every part of the business, including employees and retailers united under the umbrella of the REWE Group - from the Management Board through to store, warehouse and travel agency level. We act independently according to the idea of community. We work for the customer. We are at the heart of the market. We welcome new directions. Standing still means going backwards. We act with integrity and treat one another with respect. We keep our word. We strive to find the best solution, make considered decisions and act consistently. We are aware of our responsibility and act sustainably. Responsible action in the sense of community is part of the corporate culture of the REWE Group with its co-operative organisation. The REWE Group, of course, pursues specific economic targets. At the same time, the Group recognises its considerable commitment to the environment, society and its employees. The REWE Group is convinced that it can only continue to grow in the long term if it preserves resources, works with both its employees and partners in the spirit of fairness and trust and contributes to society. Responsible action means sustainable action. As a large trading, travel and tourism company, the REWE Group is aware of its responsibility and is actively contributing to climate and environment protection. In doing so, the company has identified three central spheres of activity: increasing energy efficiency, reducing emissions and conserving resources. Based on its co-operative tradition, the REWE Group recognises its commitment to society. It places importance on the well-being of the community. Corporación Bananera Nacional (CORBANA) is a non-governmental public institution, established in the year 1971 by the ratification of a law of the Republic of Costa Rica. Its major objective is the development of the banana industry in Costa Rica and to serve the banana producers. This institution develops research programs aimed at strengthening the quality of banana farming, provides state-of-the-art technology to producers, maintains lines of credit to facilitate the operation and recovery of the plantations struck by natural disasters in the Costa Rican Caribbean, among other commitments to improve the industry. The Corporación Bananera Nacional Corbana, S.A. (CORBANA) – the national banana corporation – was established in 1971 in Zapote, San Jose, the Republic of Costa Rica (Costa Rica). Partly owned and managed by the banana producers themselves, CORBANA is a public entity organized as a stock company (a business owned by shareholders: farmers, the Government and nationalized banks, in this case) that supports banana growers in Costa Rica. By developing banana marketing and commercialization strategies, the company has been able to exploit new branding methods and open new markets for the country’s farmers. Moreover, CORBANA carries out research and provides technical advice and support services that have improved producers’ farming skill, enhanced farming practices and developed environmentally friendly agricultural processes. Furthermore, the company acts as a lobbyist on behalf of banana farmers in negotiations with government, fruit vendors and with industry partners in the international community. Due in large part to CORBANA’s many activities, the socio-economic status of Costa Rican banana producers is improving, banana yields are increasing and the country’s rich environment and banana growing culture is being sustained. CORBANA has managed an impressive transformation in banana cultivation in Costa Rica and in the life and prospects of banana producers in the country. In large part due to the company’s efforts, the Central American state ranks third in the world in banana exports and first in the world in terms of productivity per area (averaging around 2,500 boxes per hectare). CORBANA was established in order to empower farmers, open market access for their products, and improve their communities and environment. By developing a comprehensive R&D and commercialization strategy, and by relying on IP assets and value-added banana products, the farmer-owned company increased competitiveness, consolidated its market position and entered new commercialization opportunities internationally. As a result, Costa Rican banana farmers have seen their productivity and incomes rise while their rich natural environment and traditional source of income has been modernized and preserved for future generations. CORBANA is the "technical arm" of the Government. CORBANA provides advice to the Government on banana. The company advises the government of the general state of the industry and proposes policies to sustain activity in the long term. CORBANA promotes scientific Research. CORBANA has specialists in various fields of agronomy banana dedicated to scientific research, aimed at improving the current agricultural practices and the search for new production. To facilitate research laboratories CORBANA has specialized in each of the areas of interest nematology, biological control, plant pathology, soil chemistry and physiology, among others. CORBANA and their laboratories are part of an international network specialized scientific information shared globally and scientists has agreements with several universities in Europe and the United States. CORBANA provides credit for working capital. CORBANA created a fund to provide working capital loans to producers. This credit is offered at competitive rates and is administered by the Corporation itself, which gives the producer great flexibility in access. There are also special credit lines as those for renewal of areas for environmental infrastructure projects or other. CORBANA provides market information of the industry. With the help of the information age, CORBANA is aware of the importance that the Banana producers have access to timely, reliable and updated information. Due to this, the Corporation has a database about the banana businesses both domestically and internationally which is updated continuously. The information includes both production in each country, and the marketing of the fruit in different world markets.